Six Rosen College grads working at Florida's most luxurious resorts share what it really takes to make dream vacations come true. 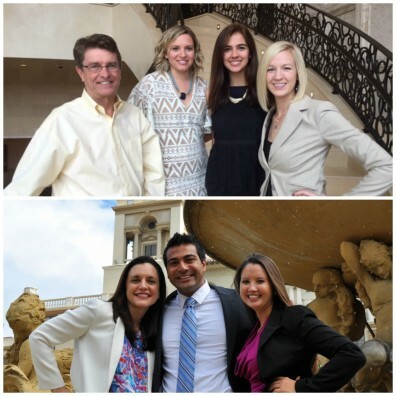 Top from left to right: Ron Emler, Director of Human Resources, Four Seasons Resort Orlando; Meagan Strout, '12; Valeria Rivera-Florez, '14; Kristina Rosar, '08; Bottom from left to right: Tricia Taylor, General Manager, The Breakers; Hetul Patel, ’10; Kathryn Shook, ’09. Strout: A colleague of mine sent out this great quote that I think sums it up: Your smile is your logo. Your personality is your business card. How you leave others feeling after having an experience with you becomes your trademark. For more information about hospitality education at Rosen College, please visit hospitality.ucf.edu.